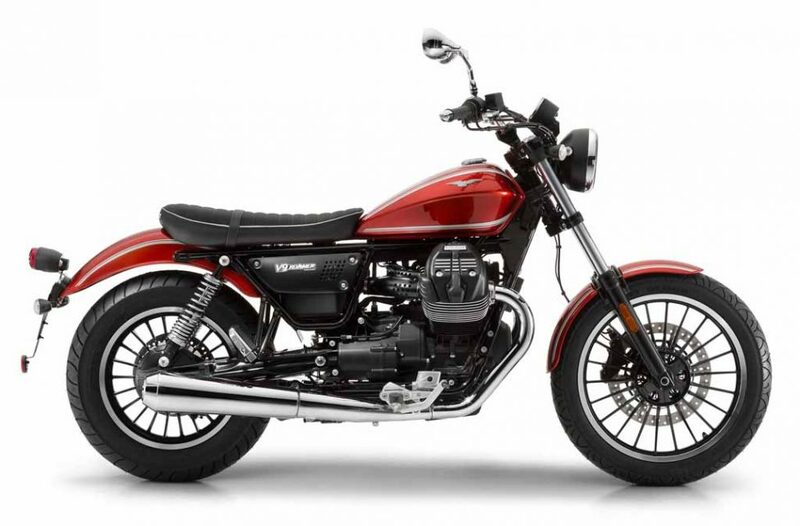 Piaggio group’s Moto Guzzi has launched three models in Indian market, which are V9 Bobber, V9 Roamer and MGX-21 cruiser. Both the V9 Bobber and V9 Roamer are priced at Rs. 13.60 lakhs (ex-showroom, Pune), while the MGX-21 comes at a price tag of Rs. 27.78 lakh (ex-showroom, Pune). Initially these motorcycles will be sold in selected cities like Pune, Kochi, Hyderabad and Chennai. Earlier this year The Italian motorcycle brand showcased new V9 range at 2016 New Delhi Auto Expo, and then only thebrand announced its plan to launch the models in H2 of 2016. Moto Guzzi already has exotic models like Audace, El-Dorado, California Touring 1400, California Touring Custom and Griso SE in its lineup, and the new V9 twins and MGX-21 will join the line-up. The new models will be sold through Piaggio’s Motoplex showrooms. Both the V9 Bobber and V9 Roamer are city cruisers, and basically similar looking models with different characteristics. According to Moto Guzzi, the V9 Bobber represents darker and sporty soul of the company with its pure black appearance. 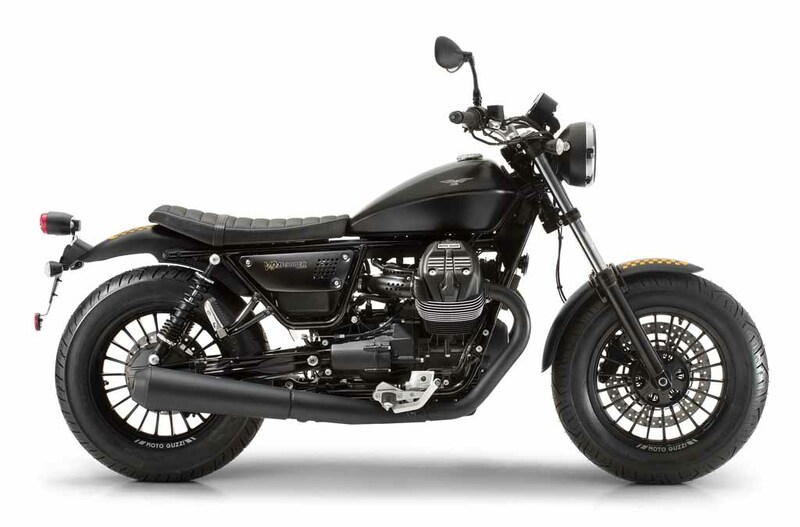 While on the other hand, V9 Roamer bears the baton from Moto Guzzi Nevada. Both the Moto Guzzi V9 twins are built on same platform and these models also share the same chassis. On powertrain front, both V9 Bobber and V9 Roamer draw power from transversely-mounted 850cc twin-cylinder Euro-IV engine paired with a 6-speed transmission. This engine is well capable to churn out 54 bhp of peak power and 61 Nm of peak torque. 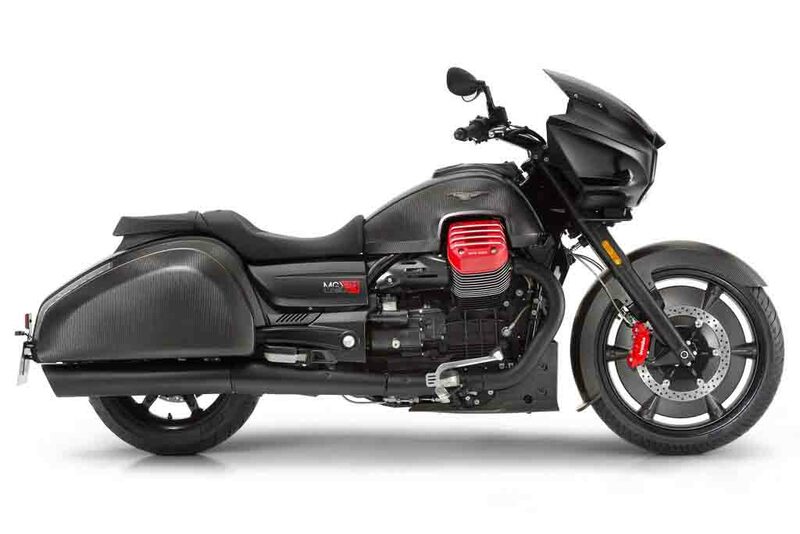 Moto Guzzi MGX-21 is also nicknamed as ‘Flying Fortress’, and this marks the brand’s entry in to the bagger segment, which has strong presence of brands like Indian and Harley Davidson. The MGX-21 is painted in all black. And this bike takes power from a 90-degree transversely-mounted V-Twin engine shared with California 1400. The 1380cc engine generates 96 bhp of peak power and 120 Nm of peak torque.